MPs will be joining the NFU and members of the public to show their support for British farming next week on Back British Farming Day (Wednesday, September 12). 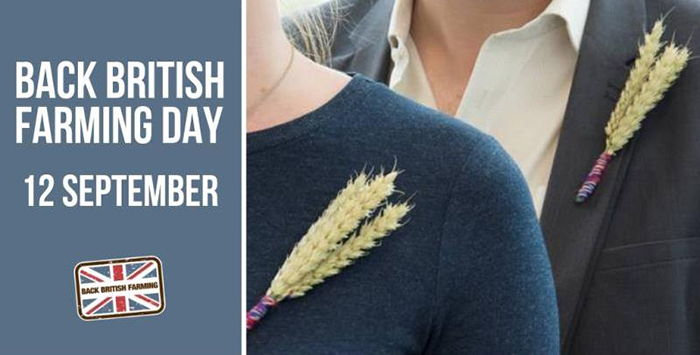 Politicians will be demonstrating their support for the industry by wearing a Back British Farming wheat-pin badge, which is made from British wheat and wool to symbolise the importance of food and farming in Britain. And for the first time, the Palace of Westminster will be serving approximately 9,000 “Back British Farming” meals throughout the week in all its canteens to celebrate the fabulous food produced by British farmers. The NFU is encouraging members of the public to join in the celebration and take to social media to show their support for British farming by using the hashtag#BackBritishFarming. NFU President Minette Batters said: “Back British Farming Day is a great opportunity to celebrate the unique role farmers play in feeding the nation and caring for the countryside. By wearing the wheat-pin badge politicians are not only showing their support for British food and farming but acknowledging that they have a part to play in shaping the future of domestic agriculture and food production. “Decisions made in Parliament must reflect the strategic importance of the food and farming sector to the nation. With over 9,000 meals from the Back British Farming menu being served across the week to MPs, researchers, decision-makers and visitors, food and farming will be at the very centre of Westminster activity.